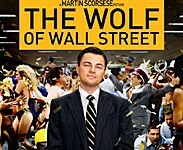 Revered filmmaker Martin Scorsese directs the story of New York stockbroker Jordan Belfort (Leonardo DiCaprio). 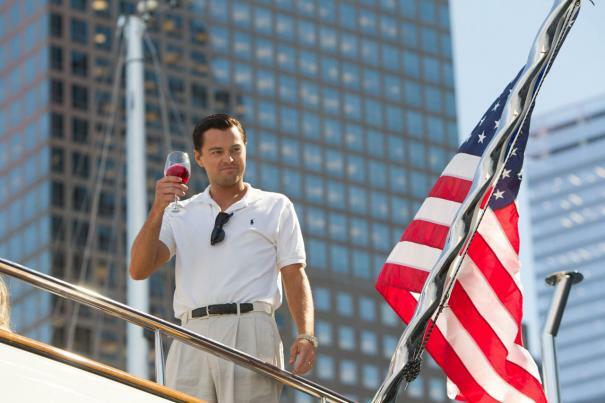 From the American dream to corporate greed, Belfort goes from penny stocks and righteousness to IPOs and a life of corruption in the late 80s. 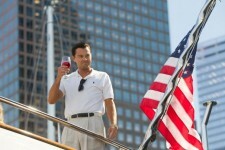 Excess success and affluence in his early twenties as founder of the brokerage firm Stratton Oakmont warranted Belfort the title – "The Wolf of Wall Street." Money. Power. Women. Drugs. Temptations were for the taking and the threat of authority was irrelevant. For Jordan and his wolf pack, modesty was quickly deemed overrated and more was never enough.